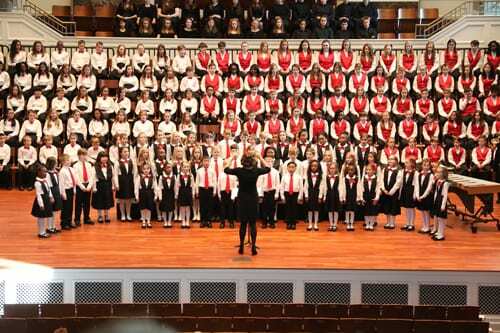 The PREPARATORY CHOIR, an entry-level choir for the young singer, includes students who have the ability to match pitch and have a desire to learn more about singing. Children at this level have demonstrated an ability to match pitch. They will improve their unison singing skills and begin singing two parts. Score reading is introduced, as well as solfege and rhythmic reading. The Preparatory Choir performs at the December and Spring concerts both separately and jointly with the other NCC choirs. Learn more about auditioning for the Preparatory Choir.